The words “eat local” have been the battle cry of the sustainability movement for quite some time now – not only for the environmental impact, but for the incredible FLAVOR. We visit two businesses who know a thing or two about flavor. 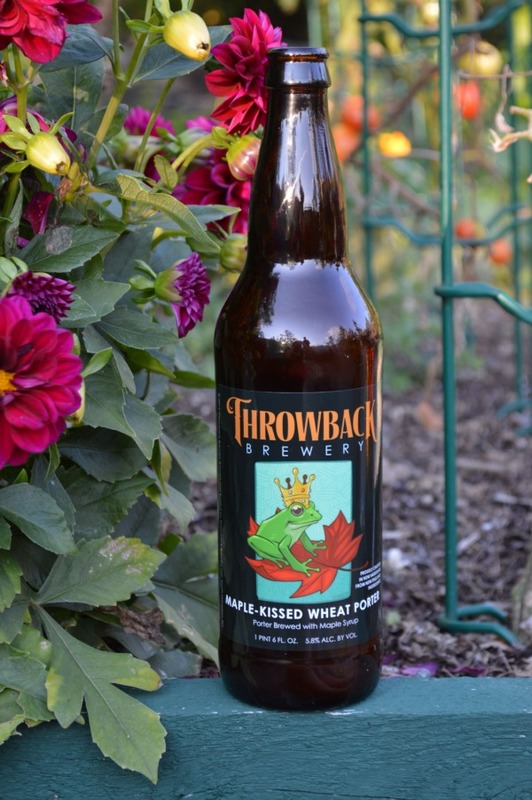 First, we check out Throwback Brewery in North Hampton, New Hampshire. 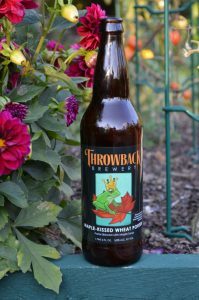 This micro brewery not only crafts unique regional flavors, but also uses their production to give back to local farmers in a very sustainable way. Plus is is one of the only female owned micro breweries in America. Co-founders, Nicole Carrier and Annette Lee work closely with local famers to create seasonal, local products. 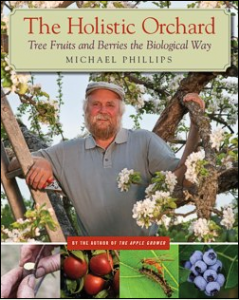 Later in the show, Joe visits heirloom fruit grower and author, Michael Phillips, who is known for bringing out the very best flavors organically. Michael is a well-respected authority in the sustainability world and has been teaching and growing fruit on five of his 58 acres for decades. 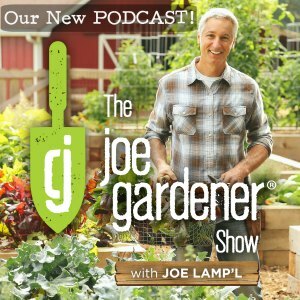 Michael shares his ideas of working with a fruit orchard holistically and offers simple yet powerful growing tips that we can all use in our own backyards to get peak flavors from our fruit. The sticky goo that Michael spreads on his apples for pest control is called Tanglefoot. We’re sorry we were not able to say the actual product name in the episode. The sticky goo that is spread on apples as seen in this episode is called Tanglefoot. Disclosure: some product links on this page may be affiliate links, which means we would get a commission if you purchase. However, none of the prices of these resources have been increased to compensate us. While the commissions are small, any received go towards helping to offset the expenses of bringing this free content to you. Thank you. hello Joe, it was my pleasure to find and catch Hyper Local Heirloom Apples and Craft Beers. I was very interested in the holistic growing methods of Michael regarding fruit trees. I have citrus trees (tangerine, navel oranges and Red grapefruit). Would his holastic soil methods work the same for citrus? I also came across this article which may be of interest to you about growing citrus organically.https://www.growingmagazine.com/fruits/the-journey-through-organic-citrus/ I hope this helps. Happy gardening. Hi, My husband and I would like to sign up for Heartsongs class with Michael next June 4 and 5 2016. i have emailed them and called but no response. Can you give me some guidance? Hi Katherine. Unfortunately we don’t have any other inside options beyond email and website. I’m sorry you have not heard back yet but please keep trying. it may be that they’ve changed their plans but don’t give up. Do they have a facebook page? I haven’t checked that but it may be another option. Good luck. I love all of the shows. I only wish these shows and the idea of sustainsbility and organic farming was popular when I was much younger and in better physical shape to be able to use the ideas I so enjoy learning about. I’d like to use Michael Phillips’ use of the apple to catch flies. What is the brand name of the “stcky stuff” one needs to coat the apple? Hi Brionna. It’s called Tanglefoot. Should be easy to find. Sorry this wasn’t specifically mentioned by name on TV but we couldn’t. HI……the trap apple……..can you please tell us what the “gooey and sticky” substance is used to coat the apple. “Tanglefoot” is what you’re looking for. Should be easy to find Sam. Really love the channel and the work you do… A lot of times the videos on vimeo do not load, take a long time to stream then go back to 0 .. are you considering uploading the videos to youtube? you will definitely reach a larger audience. Hi Anil. Thanks for the good words! Our decision for the time being is to only serve up our videos on our website, vs. posting also publicly to Youtube and/or Vimeo. As for servers, we have been very happy with Vimeo with handling and playing the very large video file size of each episode. That may be the biggest issue with your internet service provider. Our files for each episode are much large than most videos being served on Youtube and Vimeo. We needed a a very robust player and we find overall that the playback experience is excellent for most of our viewers through Vimeo. In investigating this question in the past, it has been concluded that the download speed of the viewer’s internet service provider is typically the culprit and results in the very same symptoms you are describing. I’m not sure this answer helps in your case Anil but I hope it sheds some insight into the potential problem. Thanks again for writing.